Whether you’re looking for clarity about what YOU want in life, better relationships, a more fulfilling career, or a sense of purpose and direction, you must invest in yourself and commit to a self-awareness process to remove what is blocking the true YOU. You probably know this or have heard it before. And yet you still feel like you have no control over your life or why things “happen” to you and keep you where you are—unhappy, confused, or stuck. I know you want to grow emotionally and spiritually, but you have unconscious mechanisms that keep you at the same emotional level as when you were a kid. This is why you need guidance and support: you simply cannot see what you cannot see. I offer an effective system of self-exploration and energy management to help you discover what holds you back and turn your life around with clarity and confidence by integrating your life puzzle to draw the insight, motivation and direction you are yearning for! Below are a few ways we can work together, which can also be combined with Conscious Business Coaching, if needed. 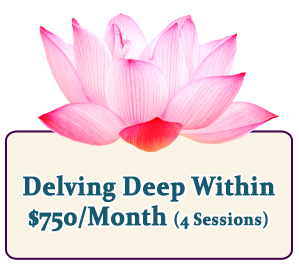 I have the ability to connect with you on a soul level, so each program is highly individualized according to your unique life path, soul purpose, and personal goals. Once you get on the right track of your life path and purpose, everything else starts re-aligning to get you to accomplish your deepest desires. * This program is highly discounted and paid ahead every 4 sessions. If you cancel any sessions any refunds will be provided after deducting services at the baseline fees (currently $175/session and $275 for healing). Feel supported and confident to express who YOU are and what YOU want, to live life in your terms! 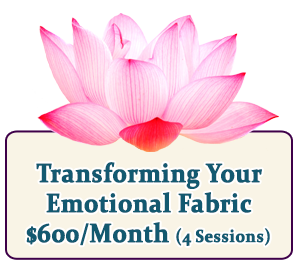 * This program is discounted and paid ahead every 4 sessions. If you cancel any sessions any refunds will be provided after deducting services at the baseline fees (currently $175/session). * This program is paid ahead every 2 sessions. “I can’t begin to express the gratitude and admiration I have for Yol and her work. She has techniques that work, she has a vast wealth of knowledge in her field of spiritual mentoring/coaching/healing. I’ve seen my world open up, my burdens lifted, my mind at ease, my body cleansed, my heart softening, my wounds healing. I have confidence that I can face anything now, and look at life’s challenges as learning experiences necessary for the growth of my soul. “Tired of a life I didn’t understand and I didn’t want to live anymore, plus being certain that my ‘difference’ and what I believed kept me isolated from others, I was lucky enough to be guided to Yol. I knew there and then that she would guide me back to myself. There may be obstacles to face in life, but with the tools that Yol has taught me, I believe now that the peaceful smile I’ve gained with the inner work I’ve done with her can never be robbed or betrayed again. Yol represents more than a coach to me; she has become the only person I trust, and session after session she is able to simplify my life by clarifying the role I have in it and the reason why certain things come up. “In the midst of a spiritual rejuvenation after a long dark night of the soul I was a little perturbed by the somewhat frantic nature of online spiritual teaching these days until I chanced upon Yol. Her calm, loving approach to teaching was like a balm. But don’t be fooled – she is expert at identifying our egoic tricks to foil our spiritual advancement and will not let anything pass that smacks of avoidance. Her authenticity shines like a diamond, but it is her wisdom that shows the way for those of us privileged to have her guidance. Yol also helped me look at past experiences with a different perspective that made me realize blocks that were limiting my growth. Some of the issues I thought I had previously resolved, but Yol offered new insight that helped me recognize where I still needed healing. and take charge of YOUR life?